Today, I, DabMaster2 , will be showing you my Hog Miner Control Deck. The Hog and the Miner can do great chip damage with the support of your left over defensive troops. This deck relies on a solid defense (hence the 2 buildings) and then counter pushing when the opponent has little Elixir left. 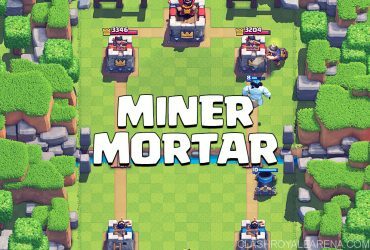 Before we begin, the Miner can be replaced with the Knight which allows better defensive capabilities and he can tank much more damage for your Hog Rider! Mega Minion can also be replaced with Minions or Archers if you have trouble against Graveyard. Hog Rider – Most of you should know how to use the Hog Rider. A lone Hog is usually not advised unless it’s the beginning of the match or if you have nothing to support him with. Always place him at the pig push spot unless your opponent already has a building down. 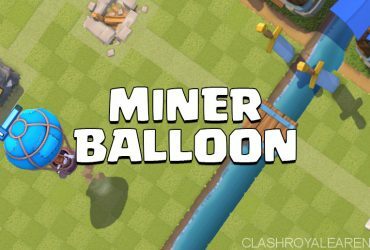 Miner – If the Hog Rider can’t get to the tower, the Miner will. In this deck, he not mainly used to tank damage for the Hog (although he can be). He is mostly used for sneaky chip damage on the tower. When the Hog and the Valkyrie are taking hits, the Miner can get in some extra damage that the opponent must answer. Valkyrie – She clears the path of squishy troops for your Hog to get to the tower. She’s also great on defense to help take down the backline of enemy troops. Clearing ground swarms is vital on defense especially with Graveyard being very strong right now. Mega Minion – The Mega Minion is an all-round great card. 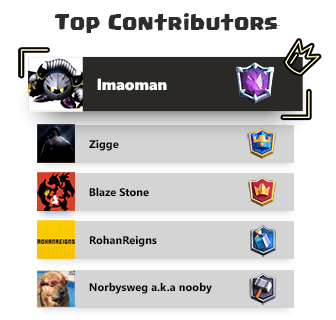 Other than your Inferno Tower, he is your only air targeting troop. With that being sad, if your opponent has an air-based deck, reserve him mostly on defense to help with the Inferno Tower. Tombstone – This is your second building. It can be used to bank Elixir and to swarm other troops with the skeletons it spawns. Fireball – I mostly use it on defense to counter medium-health troops. Only use it on offense if it can guarantee good damage on the tower with no way for your opponent to punish you badly. Zap – Counters low-health swarms and to reset charging troops. Minion Horde – This deck doesn’t have any splash damage air counters so Minion horde can be a pain. You can Fireball them Zap them with the Mega Minion to clean up. If you have a lot of problems against them switch Zap for arrows or maybe switch Valkyrie for Executioner. Royal Giant (Cancer) – With a deck that has 2 buildings it is still a little weak to the (no skill) Royal GG. The main weakness is a Zap or lightning to stun the inferno and kill it. If the Tombstone is placed preemptively, it can distract the Royal Giant for a few seconds to protect the Inferno Tower. Against the support troops, Fireball + Zap then the Valkyrie can clean up. Elite Barbs (also Cancer) – Normally, the main issue with the (no skill) Elite Barbs is being over-levelled. If they aren’t too over-leveled, the Valkyrie and Tombstone should do fine. The main problem is on offense. Elite Barbs can basically shut down your push. What you need to do is to either force them to play the Elite Barbs or just wait for them to play them on offense then counter-pushing with the Hog. 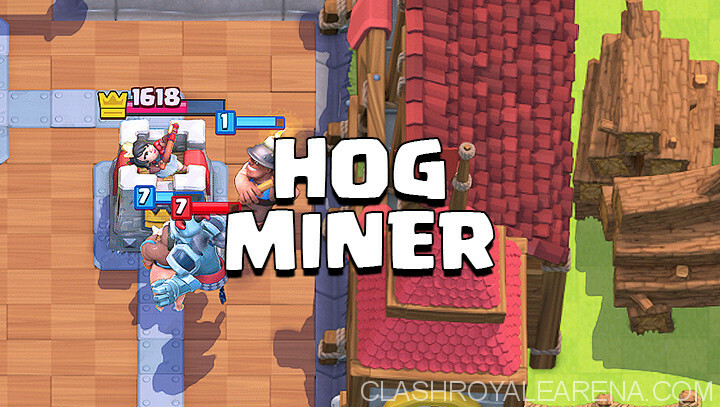 Tornado – If your opponent has the tornado, then the Miner and the Hog can be dragged to the king tower to activate it. Most these battles come in a draw unless you can somehow breakthrough the defenses. Tornado Executioner is even more annoying. The Executioner executes your troops with the tornado keeping them bunched up. You will need to attack both lanes to keep your opponent on their toes. When Do I Use Which Building? Only use the Inferno Tower to either kill tanks or a Hog Rider if you want to ensure no damage done to your tower. Reserve it for when you really need it or you might get punished badly. The Tombstone is here for all the dirty work. You can place it down early to bank Elixir. As a swarm card, use it to counter single-target troops. It’s not as reliable against Hogs because the Hog can still get past the Tombstone. Ice Golem at the Bridge – If there is an ice golem at the bridge always get your Inferno Tower ready. Most of the time your opponent will place a Hog Rider behind it. You might also play against the occasional balloon ice golem deck. Your opponent might also play a Graveyard. Immediately play your Valkyrie to counter it. 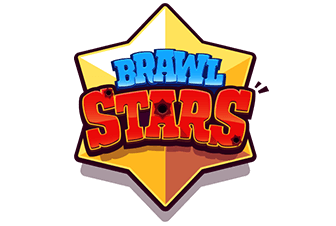 Support Troop at the Back – A support may be an Executioner, Bowler, Witch, etc. If your opponent has placed that down, be ready with the inferno because that might mean the opponent is going to build up a push and place a tank in front. Psychic Fireball – Everyone loves the good ole prediction Fireball. If you notice your opponent always places something like Barbarians or Minion horde to counter the Hog, place down your Fireball (if you can afford it) at the right spot to hit the troops with a “psychic” Fireball. That’s it for now, I hope you liked my guide and have a Clashtastic Day!